Niger faces severe challenges in early childhood nutrition and development. In 2011, it was estimated that 48.9 percent of the population in Niger lived on less than $1.25 per day, and 75.23 percent on less than $2 per day. More than 50 percent of Niger’s population was food insecure, with 22 percent of the population suffering from chronic food insecurity (per capita consumption of less than 1,800 kcal/person/day) in any given year. 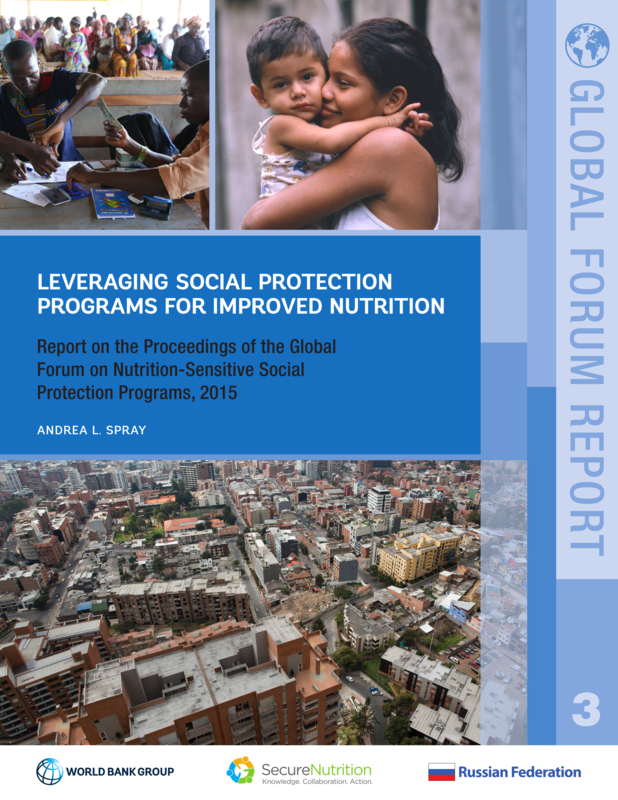 In 2012, prevalence of stunting among children under 5 was 43 percent. In 2011, the prevalence of anemia in women of reproductive age was 47 percent. Seasonal and acute malnutrition also tend to be very high. Recent food crises (in 2001, 2005, 2008, and 2010) brought on by local droughts and international high prices, have exacerbated the vulnerability of the poor to food insecurity and malnutrition. 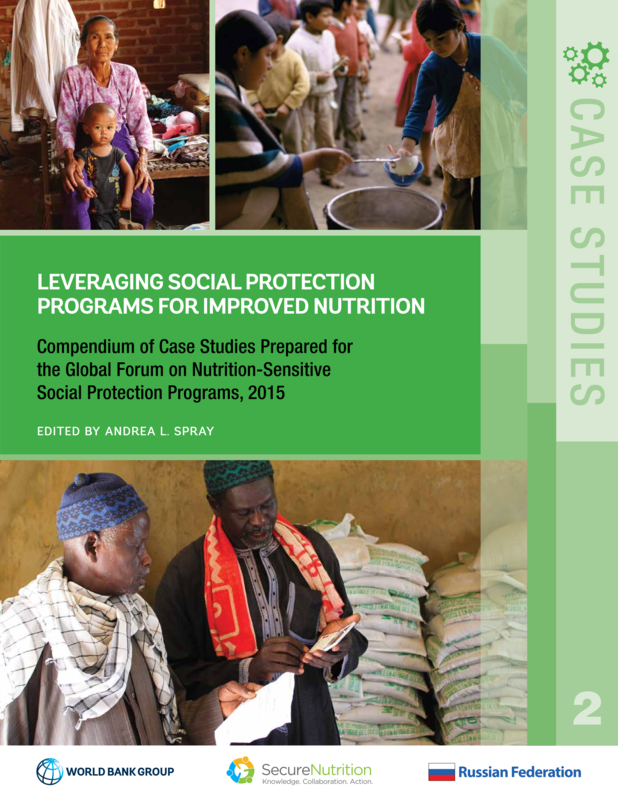 Historically, most of the safety net programs operated in Niger provided ad hoc emergency assistance, with limited effectiveness in reducing chronic food insecurity. In 2011 the Government of Niger, with financial support of the World Bank Group, took a new approach and launched the Niger Safety Net Project. This Project provides cash transfers in support of poor and chronically food-insecure households in areas where chronic poverty and food insecurity were prevalent. Households also participate in behavioral accompanying measures that focus on parenting practices to promote investment in children’s health and education. Finally, the project provides short-term income support to individuals through cash-for-work (CFW) in areas affected by temporary, acute food insecurity. Overall, the cash transfer program will reach 126 500 households, and the cash-for-works program 60 000 households by 2019. The project as a whole covers all regions of Niger. 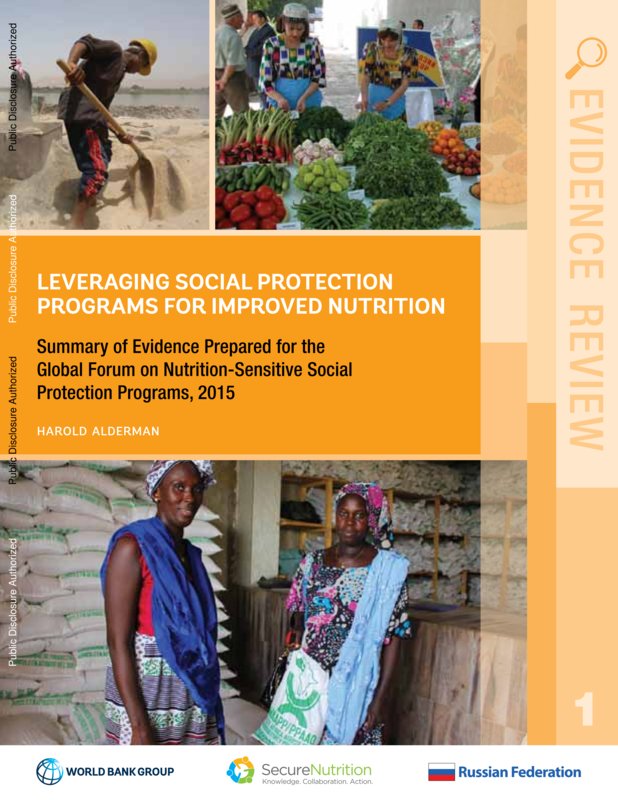 How is the Project Nutrition-sensitive? The Project targets geographical areas deemed to be particularly poor and vulnerable to food insecurity due to exposure to risks and shocks. Geographical targeting is performed from a range of data sources. The cash-for-works program relies on data from the National Institution for the Prevention and Management of Catastrophes and Food Crisis (Dispositif National de Prevention et de Gestion des Catastrophes et des Crises Alimentaires). Beneficiary households are selected based on a Proxy Means Test and community validation. In some areas, a formula based on food consumption score is being tested alongside community-based targeting. Child protection: birth registration, discipline, punishment and conflict management, attachment, and psychosocial development. Within the Adaptive Social Safety Nets Project, coresponsibilities focus on training parents on a range of practices that are conducive to early childhood development, including nutrition, psychosocial stimulation, health, and sanitation. The messages are reinforced by the combination and repetition of activities, with the idea that both support the internalization of key messages. These practices rely on facilitation techniques adapted to the local context and conducive to community dynamics (a “positive deviance” approach). Within the Project, procedures are standardized through a “technical guide” that establishes key content and methods of delivery. Typically the Project uses one community educator every 25 HHs and one NGO worker for every 300-400 beneficiary HHs. Quality control includes continuous training of providers and oversight of NGOs and community educators in the field (one quality controller is foreseen every 8 NGO field workers), as well as the enforcement of performance-based contracts for service providers (each project office has a specialized staff overseeing implementation). Interim observations show that the participation and interest from beneficiaries is very high even without the transfer being dependent on formal conditions. Community-level activities are likely to engender strong social dynamics, which may help produce positive behavioral changes. An impact evaluation provides information on the value-added of the behavioral accompanying measures in the short-term (Premand, 2016). Results show impacts on the BCC measures in 9 out of the 14 thematic areas, including changes in nutrition practices related to exclusive breastfeeding and complementary feeding. The BCC measures also induce stronger child stimulation and improvements in disciplining behavior. Changes in some preventive health behaviors are also observed, although they are more mixed. In contrast, the BCC measures have no impacts on the share of children with birth certificates and impacts on education are very limited. Finally, the impact evaluations shows spill-over effects on non-beneficiaries in a range of practices. However, despite the observed changes in behaviors, impacts on children’s final outcomes are limited. These results likely reflect the highly stressed environment in which children live in rural Niger, including the interplay of multiple risk factors for malnutrition.